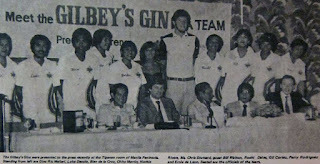 The newest PBA ballclub Gilbey's Gin in 1979, with guest NBA player Bill Walton, presented to the press, the humble beginnings of the La Tondena franchise has come a long way as this team is now known as the most popular basketball team in the PBA, the Barangay Ginebra San Miguel. 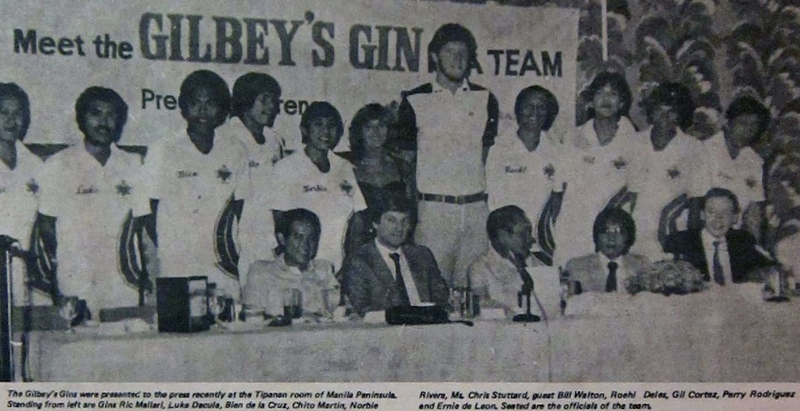 The original rosters and founding members of the Gilbey's squad, among them are Lucrecio Dacula, Ricafort Mallari, Norberto Rivera, Ulysses Rodriguez, Ernesto De Leon, Jesusito Martin, Porfirio Rodriguez, Bienvenido Dela Cruz and Roehl Deles. 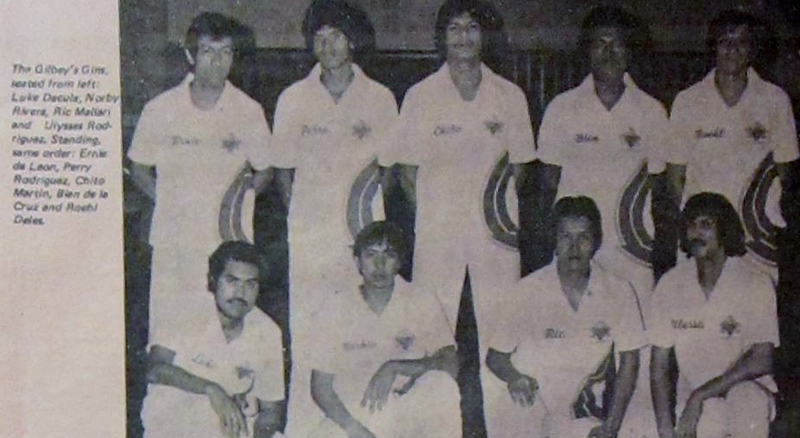 This article was in the following season in the 1980 All-Filipino Conference when the La Tondena ballclub makes it to the semifinal round for the first time in four conferences, excluding the 1979 Invitational championship.